Several developers behind Genei Ibun Roku #FE were interviewed in Nintendo Dream’s February issue. Surprisingly, the March edition has another interview with the team as well. The lengthy lineup of staff who participated include producer Hitoshi Yamagami (Nintendo), director Kaori Ando (Nintendo), producer Shinjiro Takata (Atlus), director Eiji Ishida (Atlus), chief director Wataru Hirata (Atlus), art director Fumitaka Yano (Atlus). Nintendo Dream’s latest feature isn’t quite as interesting as last month’s where we learned that Genei Ibun Roku #FE was originally planned for 3DS and considered a wide array of genres. But there are still quite a few juicy tidbits. 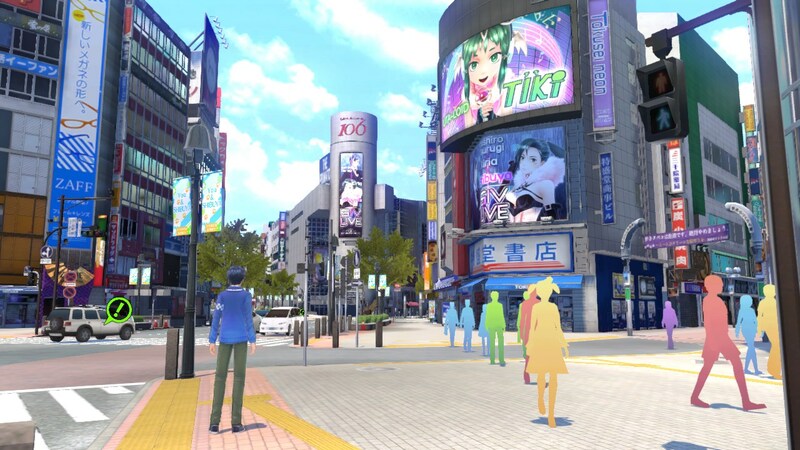 After the break, you can see what the developers had to say about reproducing Shibuya, the game structure, and an idea for battle intros that was scrapped. ND: The reproduction [of Shibuya] is quite accurate to the extent of positions of crossings and shops. Yano: Yes, we did detailed location scouting many times in the neighborhood of Shibuya. One time we created it to be very real. However, when you completely overdo it and put in too many details, the scale of the game and conformity get out of hand. Hirata: If you make it too vast, traveling takes time. There was a discussion about how it’s a bother to struggle on to 106 (laughs). Yano: So from there we changed the scale and reduced it a little at a time… The largeness was tampered with while [making sure] not to hurt the impression. (Looks at Hirata-san) It was being created for quite a long time, right? Hirata: There were people who just made Shibuya for around 1-2 years (laughs). ND: In this title there are Intermission sections between main story [chapters] and the timing to progress side stories is suggested quite clearly. Why are the main story and side stories distinctly separated instead of doing them side-by-side? Hirata: There was no separation in the beginning. Ishida: We created it so that you could play everything when you wanted to, but there are very dangerous situations like when Shibuya is being attacked, so we can’t have a story about Tsubasa’s handshake event [at the same time]… But actually the Intermission structure was a result of play testing. Hirata: That’s right. When we were making adjustments in the comparatively latter half of the production, we changed that completely. As you’d expect, people want to follow and see the main story first, so won’t optional play elements tend to go unnoticed no matter what? Actually there were cases like “I didn’t play side stories” in play testing. ND: Certainly. Things like a companion being captured makes you think “I have to rescue him/her quickly!” even more. Hirata: I was thinking if we could get people to also play side stories one way or another. The structure was adjusted so that you’ll get a chance to play side stories during an Intermission between times. During a time called an Intermission, the game makes an announcement, “Now you can play [side stories]”, so I thought that’d be an inducement to relax like, “Well, I think I’ll try playing a side story now”. Yamagami: Although they are side stories, they picture each characters’ drama and performer life, so they turned into a quite big element. To the extent that they can’t be called “side” stories.